UNDER CONSTRUCTION!!!! Why rent when you can buy? USDA zero down financing! The “Bluffwood B” features 1200 sq.ft., open floor plan with 3 bedroom, 2 bath, 2 car garage, recessed lighting, vaulted ceilings, stainless steel appliances, walk in closet in master, ceiling fans in living room and master, and so much more. 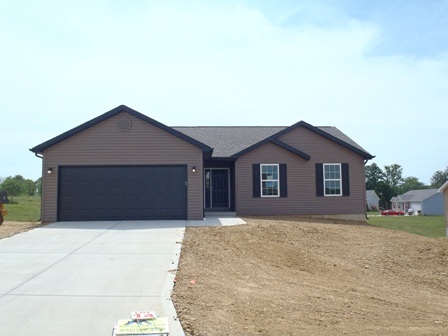 This new construction home includes rough in for bathroom, 10 year limited warranty, brushed nickel hardware and main floor laundry. Come check out this beautiful new home in The Hamptons with an estimated completion late summer.